Greek model Ros Georgiou, after A Show, NYC, September 2015. 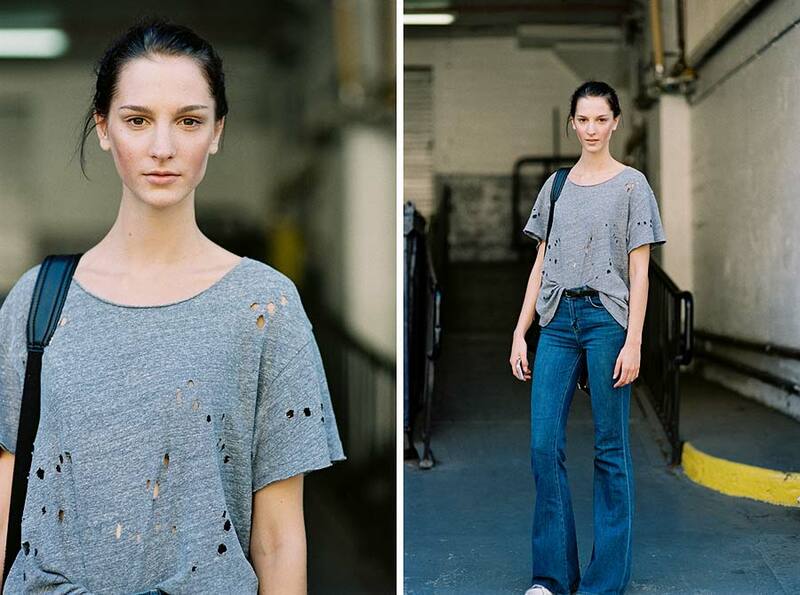 Something for the Weekend: Distressed tee + Flared jeans. Distressed Sneakers: Saint Laurent Surf distressed leather trainers, or Golden Goose Super Star distressed sneakers (or just dirty up a pair you already own!). Flared jeans, I love it. Looking so cool.